It’s well known that you don’t have to just ferment in that plastic bucket that came with your homebrew beginner’s kit. When you are ready to upgrade there are multiple material options, and varying levels of size/features. As it goes with most homebrew gear, brewers love stainless steel. 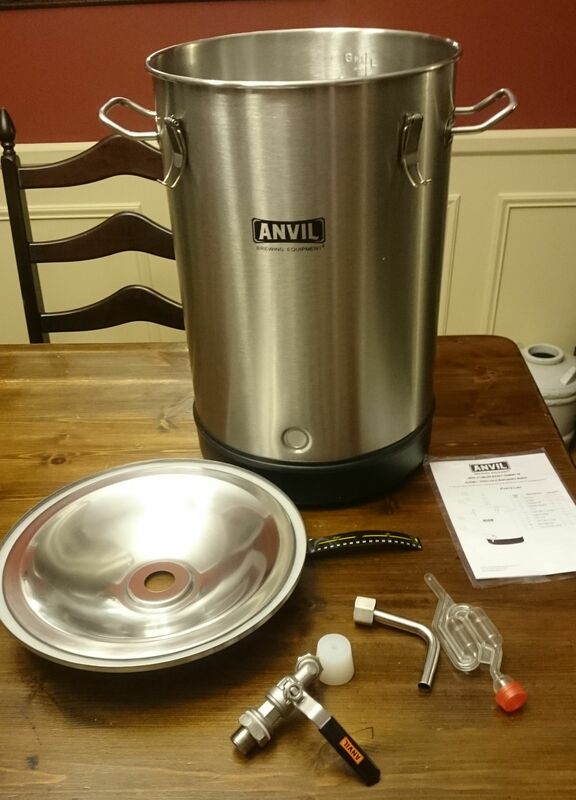 So, of course you can get your fermentor in stainless steel, too. 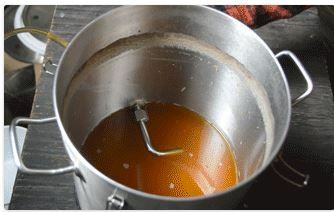 Stainless provides a better oxygen-proof barrier than the plastic brew buckets and is easy to clean. The easy cleaning not only makes the worst job in homebrewing (brew day clean-up) slightly better, it also means you don’t have to worry about things hiding in crevices to sneak out and do funky things to your beer. Stainless is also durable and long-lasting, meaning you can look at it like a longer-term investment. Typical price tags on steel fermentors also make you consider it from a longer-term investment perspective as well. Anvil, as a brand, aims to provide great Blichmann quality, but find ways to make it more affordable to the masses. 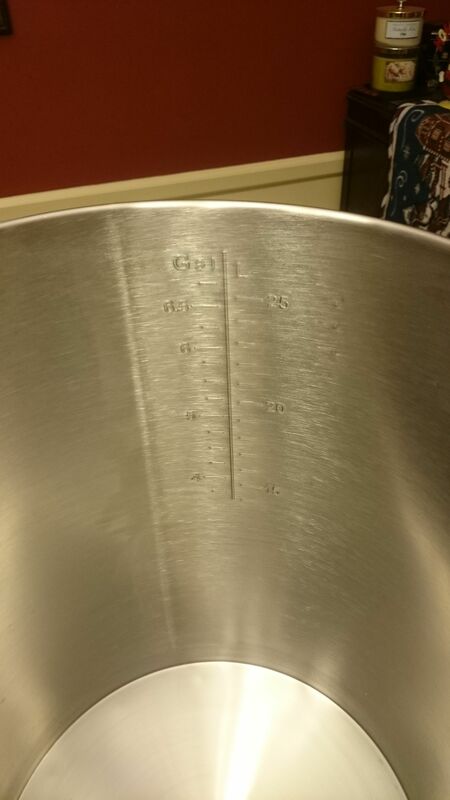 Their bucket fermentor follows the same pattern. The price gets it into the attainable range so you can have access to all the aforementioned benefits of fermenting in stainless steel. The bottom is domed downwards, but not as drastic as the typical “conical” fermentors. The dome shape’s main function isn’t keeping yeast stacked on top of itself to minimize surface area of your beer in contact with spent yeast like a typical conical. Instead it plays a supporting role together with the rotating rack arm. The rack arm screws onto spigot threads on the inside of the fermentor, and then you can rotate it by rotating the spigot from the outside. With its weldless connection and the use of an ingenious simple plastic washer, the o-ring stays in place and keep things leak-free, while the washer allows you to rotate the spigot/rack arm and get the pick-up tube pulling beer from above the domed bottom. As the beer level gets down close to the pick-up tube you can rotate it down just to the point above the yeast sediment at the bottom. Why do I call the washer ingenious? Because you can rotate the rack arm clockwise and counterclockwise, all without fear of unscrewing the joint and dumping wort out on the floor. The folks at Blichmann/Anvil promised no problems rotating either way, and I was nervous but gave it a try. No issues with anything coming loose, and the o-ring stays in place. And transferring wort by gravity and just opening the valve is slick. Auto siphons are cool, but this is definitely cooler. Overall things worked well and the build quality was there, meeting my high expectations. With any o-ring sealed joint I’m cautious, but things went together smoothly and were 100% leak-free, without requiring any taping or extra wrenching. The one drawback is possibly how the handles and spigot stick straight out from the side. These required more space to fit within fermentation temperature control apparatus, but I was able to make do without too much trouble. (I pieced together the heating & cooling parts of the Cool-Zone Brewing system and set the whole thing inside the Cool Brewing insulated bag.) 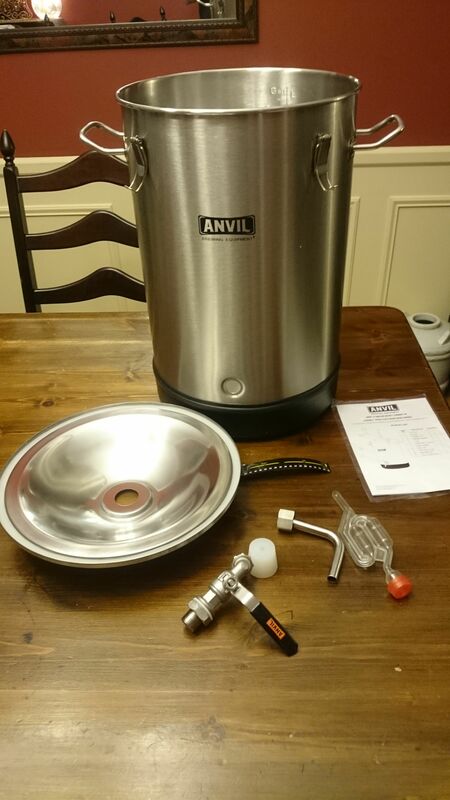 If you’re looking for a stainless fermentor, this one is on the good end of the price scale and comes with good build quality, so it’s worth checking out. Special Thanks to Blichmann Engineering for providing the unit used for evaluation in this review. This entry was posted in Adventures in Homebrewing, Blichmann, Featured Reviews, Fermentation, Fermenters, Great Fermentations, ig, love2brew, Reviews, Reviews & Top Posts on January 31, 2018 by admin. Looking at this, I presume one completely disassembles the fermenter between brews to ensure sanitization. How much of the valve mechanism is suitable for boiling or baking to sanitize? 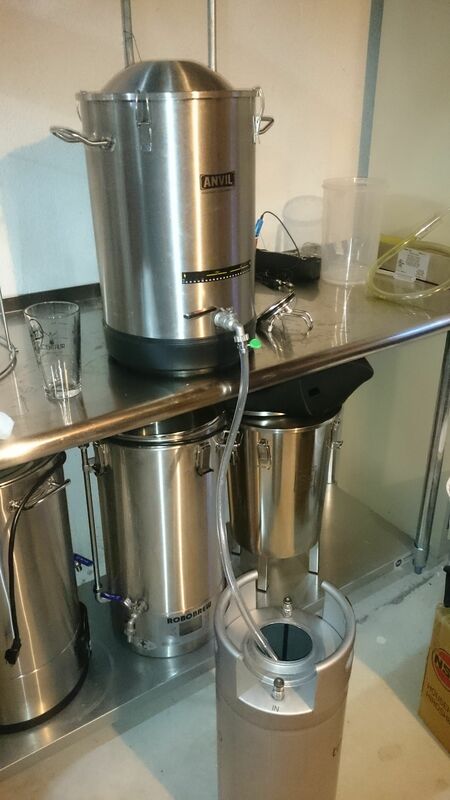 Any other ideas on how to truly sanitize this assembly (looking at it, I’m not confident that it can be completely cleaned by hand and that a good soak in StarSan will be effective after a few brew days)? I’ve looked at the stainless options, this is much closer to my price point, and has greater volume and features than similarly priced stainless fermenters. The plastic washer on the inside shouldn’t be boiled, as well as the o-ring on the outside. Other than that, it’s all stainless, so boil away. But the good thing about stainless is its hardness, so you don’t have to be as gentle as you would with a plastic spigot where you’d be worried about scratching it. It disassembles quite easily, so I would think just periodic disassembly and then some scrubbing in water and let it soak a bit in Star San would be sufficient. The catch with these spigots/valves on fermentors is they’re nice for liquid transfers, but they have all kinds of nooks and crannies where you need to be sure you get it cleaned really well. Is anyone taking off the silicone gasket for cleaning? Mine smells strongly of beer even after washing and sanitizing. 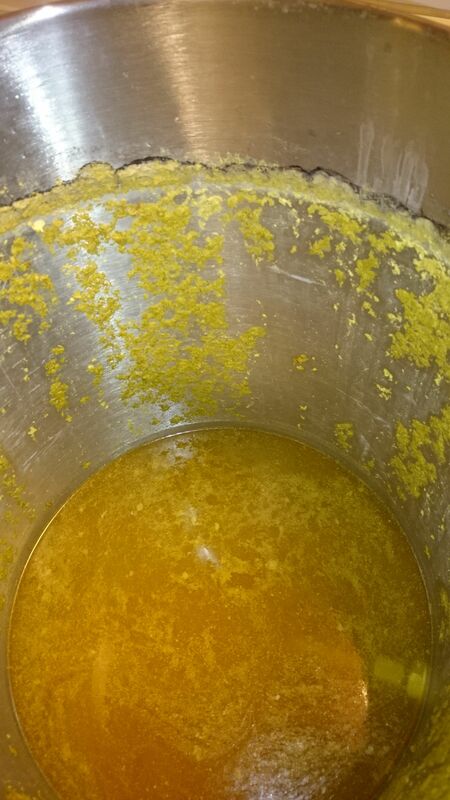 I did two back-2-back ferments with it but I’m going to hold off on any more until this is sorted. I assume you’re talking about the silicone gasket in the lid. Yes, I did, just because the fit made it easy for gunk to get in behind there, and it was easy to clean out. But my fermentor cleaning routine isn’t that rigorous. I mainly just clean it out with water really good right after I transfer to keg. Water and a sponge to make sure any residue is gone, as well as any particles. If I have something really nasty, I might use One Step, but I find vigorous water cleaning pretty much does the job. Then right before next use, I spray it all with Star San to get a good coating, brief 20 second soak, and then get as much of that to run out as I can. What size tubing fits on the “spigot barb” outside the fermenter ? Do you sell this hose and a “bottling wand” to fit in this spigots barb for easy bottling ? According to manual on Anvil website, the barb is sized for a 1/2″ ID hose. does the plastic base stay attached if you lift it, or is it not glued to the stainless? The plastic base is glued to the stainless. It creates a flat base for it to sit on since the stainless is domed downward on the bottom. Thanks for the review! Is the lid opening standard? Looking to use a thermowell. And can this easily rack into a keg oxygen free of low pressure CO2 used into a closed, CO2 purged keg? The lid is standard with that hole in the middle. It ships with a bung with a single hole and a serpentine airlock to go into that hole. I had a bung with a thermowell in it and an extra hole for a blow-off (from AIH). It was actually a slightly loose fit, not sure if the bung was undersized or lid hole was oversized, but it worked so I didn’t experiment any further. As for filling a keg, I’m not sure I fully understand your transfer method. I just transferred via gravity from the spout into my keg. I suppose I could’ve filled & purged an empty keg with CO2, then taken off the lid and filled. But if you had something more specific in mind, I’m not sure. Did you employ their blowoff tube assembly? From the pics, it isn’t clear where the plastic elbow connects. Other than the elbow it is just a bunch of vinyl tubing that you can get anywhere. There wasn’t a blow-off assembly/tubing included. They had a bung with a drilled hole and then a serpentine airlock. Instead of the airlock, you could hook up a blow-off in the drilled bung, as you would into any fermentor. 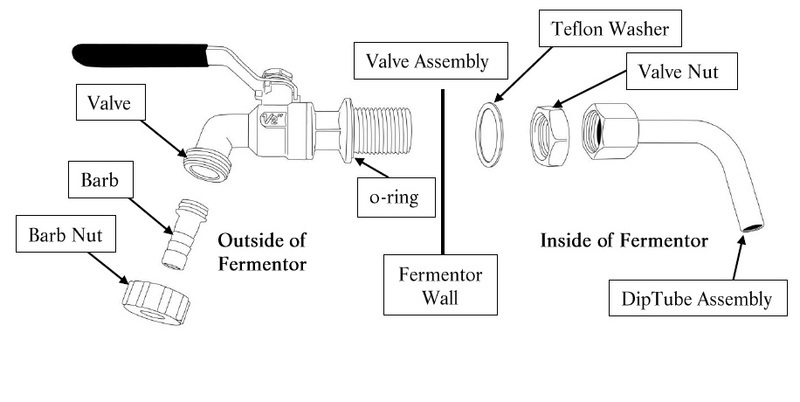 The stainless steel elbow shown in the pictures is the pickup tube that goes on the inside of the fermentor, connected to the drain valve (diagram above from Anvil manual shows this). How would you compare this to the SS Brewbucket? There are differences. Which one works is dependent on your individual tastes/preferences/needs. They’re both stainless steel, so all the advantages of that are equal between them. There is about a $70 price difference, so price might be a factor for you. They are different dimensions- Anvil is shorter bud wider, Brewtech is skinnier but taller. Brewtech has more of a true conical than Anvil’s “dome”. I don’t know the quantifiable effect of any kind of sloped bottom, but that is a physical difference. 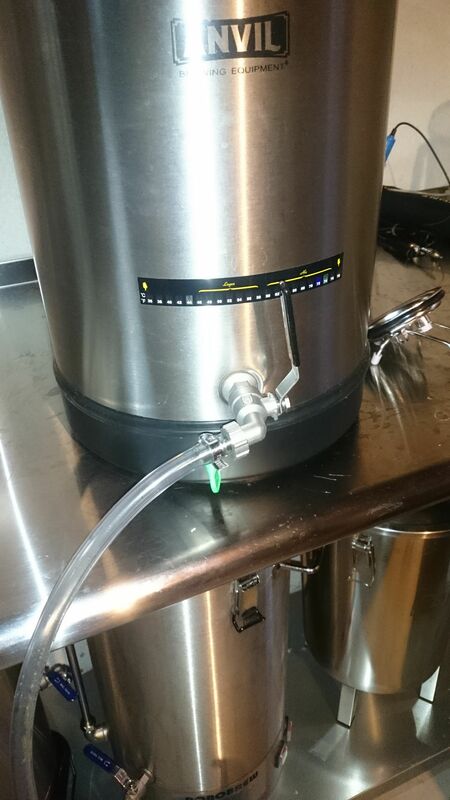 Brewtech has a compatible fermentation temperature control system so it makes that easier. But that comes with additional cost. Both are high quality materials and fit & finish, the Brewtech might be slightly nicer in this category, but they both are on the top end of the brewing equipment manufacturing spectrum so not sure if that difference really matters. They both have a sample/transfer spigot. The Anvil spigot sticks way out and seems more likely to get in the way of things, but it has the minor advantage of easy rotation in either direction. Brewtech’s spigot is more tucked into the fermentor to stay out of the way, and it can be rotated, you just have to remember to always go clockwise.